CORONA DEL MAR, Calif. - June 4, 2014 - PRLog -- Berkshire Hathaway HomeServices California Properties congratulates Brenda L. McCroskey for her sales performance in 2013, which earned her the Chairman’s Circle Platinum Award. The award is an honor reserved for those agents who rank at the Top 1% for sales production or the number of transactions in a given year, out of Berkshire Hathaway’s vast national network of sales associates. McCroskey was recognized during a special award ceremony at the brokerage’s national sales convention, which was attended by top real estate professionals from the United States, Mexico, and Canada. “Brenda leads the way with her professionalism and real estate knowledge. Over the course of her noteworthy career, she has built a solid reputation as a result of her talent for marketing, high standards of personal integrity and proficiency with negotiating. We are proud to have Brenda represent our company,” said David M. Cabot, president and CEO of Berkshire Hathaway HomeServices California Properties. 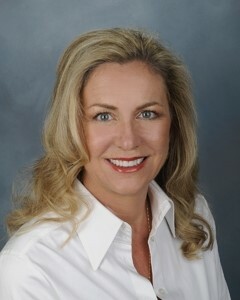 McCroskey entered the real estate field in 2008 and is very thankful she joined the team of well-respected and established real estate veterans Beverley “BJ” Johnson and her mother, Beverly White, both top sales agents in Corona del Mar. Also a resident of Spyglass Hill in Corona del Mar, and formerly of the Port Streets in Newport Beach, Brenda knows our area inside and out. She has also earned the Luxury Specialist Designation, President’s Circle Gold, Leading Edge, and Honor Society Awards. Her clients value her professionalism with a sense of humor and ability to work and negotiate with others to achieve her goal of making every transaction a Win/Win for all parties concerned. Brenda can be contacted through Berkshire Hathaway HomeServices California Properties, at (949) 280-5563, or via email at Brenda@bhhscdm.com. With more than 3,200 sales associates located in 62 offices across Southern California and the Central Coast, Berkshire Hathaway HomeServices California Properties is one of the top five brokerages in the nation. In 2013, agents of the firm closed $12 billion in sales volume and more than 14,000 transactions. Berkshire Hathaway HomeServices California Properties is a member of the Berkshire Hathaway HomeServices real estate brokerage network, which is owned and operated by HSF Affiliates LLC, a joint venture of which HomeServices of America, Inc., the nation’s second-largest, full-service residential brokerage firm is a majority owner. HomeServices of America is an affiliate of world-renowned Berkshire Hathaway Inc.